Parking available at Wilson Street car on Little Collins Street until 10pm and 24 hours on Queen Street. Trattoria Emilia is an authentic Italian restaurant focusing on seasonal produce and fresh pasta. Head chefs Francesco Rota and Luca Flammia hail from Modena in Emilia Romagna. Rustic, yet refined, Trattoria Emilia boasts fantastic ambience, attentive and professional service whilst all the while remaining a great casual dining spot perfect for a quick lunch, a long relaxing dinner with friends and has always been a romantic date spot. Great staff, great food. The whole style, being informal and unpretentious but very good food and wine, strikes a chord with us. Well done. Lovely evening, very accommodating to fit an extra person on the table and to alter the menu to suit vegetarians. Good wine list and cocktails. 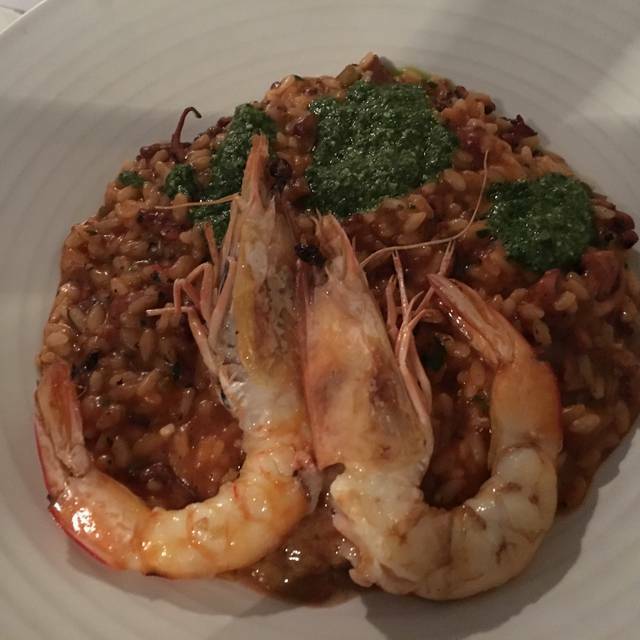 I enjoyed the risotto. Dined at Emilia for the first time with a party of 4. We had the most wonderful service and the food was amazing. We were given a loaf of beautiful warm bread to take home which was a lovely touch. We'll be back and will be telling our friends all about our fantastic experience! Loved every mouthful! One of the best Italian restaurants in Melbourne, can't wait to go back. Hidden down a typical Melbourne alley way you will find great service, yummy pasta and gorgeous wine. A great place to catch up with friends after work if you want to still be able to hear them talk not like a number of over crowded Melbourne restaurants. We had a fantastic experience at Trattoria Emilia and sampled the tasting menu for a birthday dinner. The food and wine was superb, the service exceptional, the reataurant was beautiful. 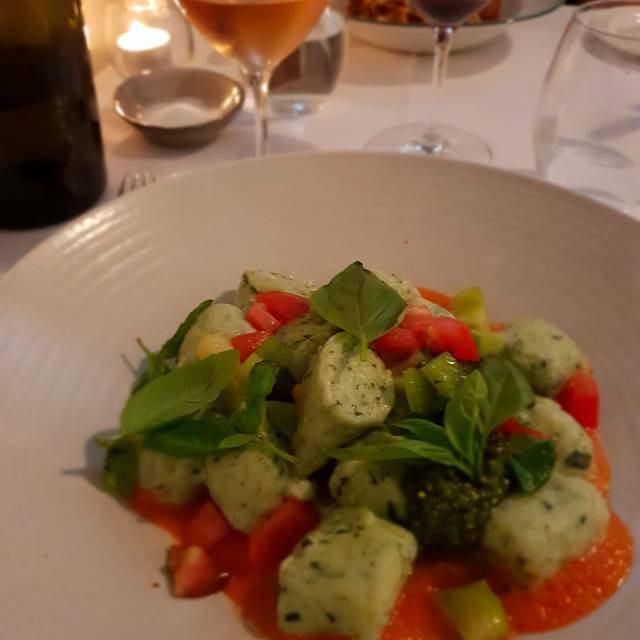 We are from Sydney and will definitely include a return visit to Trattoria Emilia on our next Melbourne trip. Fantastic food, great ambiance & professional staff. Excellent atmosphere and service for a delicious meal. Most impressive wine list also. Wonderful for intimate dinners or larger tables. Fantastic service, the food was amazing, we will definitely be back. Best Italian food in Melbourne. Thank you for a fine experience and exceptional food. A few dishes were great; the mortadella and prosciutto tortelloni, the tuna tartare, even the bread and olive oil, but the other pastas lacked depth of flavour and were uninspired. The host seemed over it, which I can understand, so I'm hoping the management treat her better or she finds something she enjoys more! The bartender was great, helpful, knowledgable. One of the best meals I have had in a long time. Great service aswell. Thank you for allowing $15 BYO - able to enjoy a really special bottle of red wine & an aged Riesling with some of the best pasta we have ever eaten . Service was excellent and we will return. We enjoyed our dining experience at the restaurant. The tasting set was really good idea. Loved the entree and beef steak. Great authentic Italian regional food! Highly recommended! 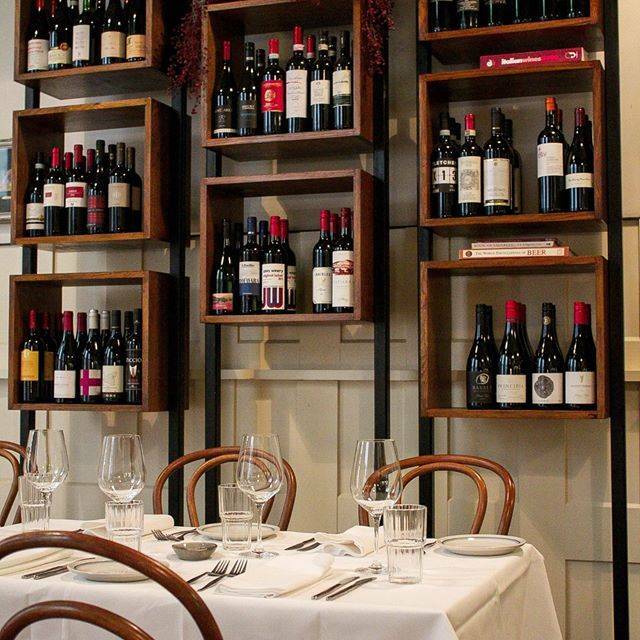 A reliable Melbourne favourite for a quality lunch across all seasons. Simply awesome. Everytime. Can’t fault the food and service. Pasta and meat plates are excellent! Intimate and romantic restaurant. The food was faultless, fresh and full of flavour. Wonderful staff. Would definitely recommend to others. Trattoria Emilia was outstanding in every way. The wine was a real highlight too. Absolutely delicious. Second time here, and super happy to be back. We had an amazing dinner for partner's birthday. Food was amazing, from entrees to dessert. I couldn't find a fault. We were greeted and treated very well, with very professional manners. What can I say? I cannot wait to be back again!!! Trattoria Emilia is my go to place for business lunches mainly because the food is great and the size of the tables allows for conversations. The pasta is some of the best in Melbourne. At times the service can be a little rough. What a great meal we had and the flavours were fabulous. We were a group of 4 that shared all the meals (we like to taste everything!) and were not dissappointed by any of the offerings. I was most impressed by the Tagliata - great presentation, great taste and was more that enough for the 4 of us to share. The wait staff were very professional, patient while we were trying to working out what we want and very very friendly. Looking forwared to going back. I was never disappointed by them. It was my fourth visit, and once again it was an authentic and enjoyable experience! I’ll be back! Amazing food and delightful service. Great experience all round!! Excellent birthday dinner! Limited options for vegos, but what we had was fantastic. Definitely leave room for dessert and try the tiramisu. Excellent Northern Italian cuisine in a casual dining room that feels like a neighborhood restaurant in Milan. Lovely attentive staff and you know the food is the real deal because there are Italians dining there. Recommended! Excellent service and delicious food. Cosy location. stumbled across this honest little gem in the CBD. Had two pastas and a beautiful salad. All was very enjoyable. Outstanding food and great service. Definitely somewhere to go for a special occasion. 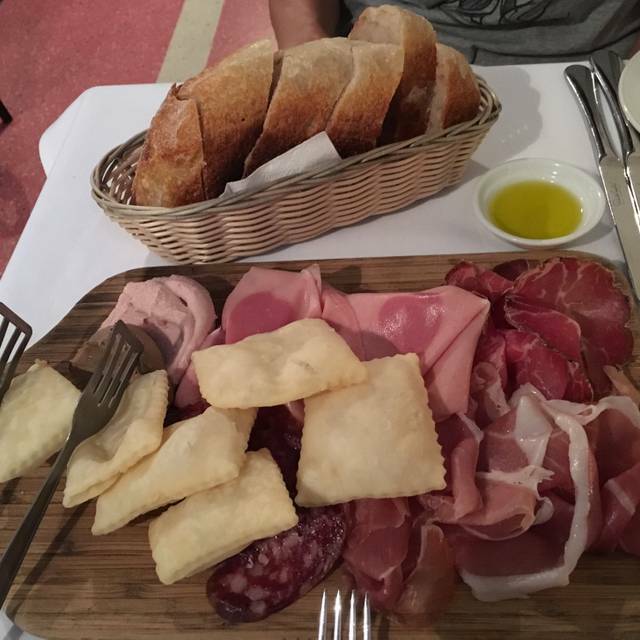 Delicious, genuine Italian food starting with amazing sourdough bread, prosciutto and mozzarella. Homemade pasta was made by a genuine chef from Modena, Italy. Top quality Italian food! I was dining alone. I had a booking (so not a walk in) but was placed at, by far, the worst table in the restaurant. I was next to a swinging door that entered the kitchen. There were several tables in the restaurant that were in a lovely position that were unoccupied the whole time I was there. The restaurant has a lovely atmosphere and vibe and is quiet, but I didn’t get to enjoy any of that. The waitress was one of those with a haughty, I’m better than you, feel about her. She hardly spoke with me. Food absolutely delicious- spaghetti with mussels and melt in your mouth home made bread. Wine average. Wouldn’t go back there if you paid me. Food was great, pasta cooked to perfection and the bread is to die for. We loved this restaurant. A somewhat patchy experience here. Most of the food was lovely. 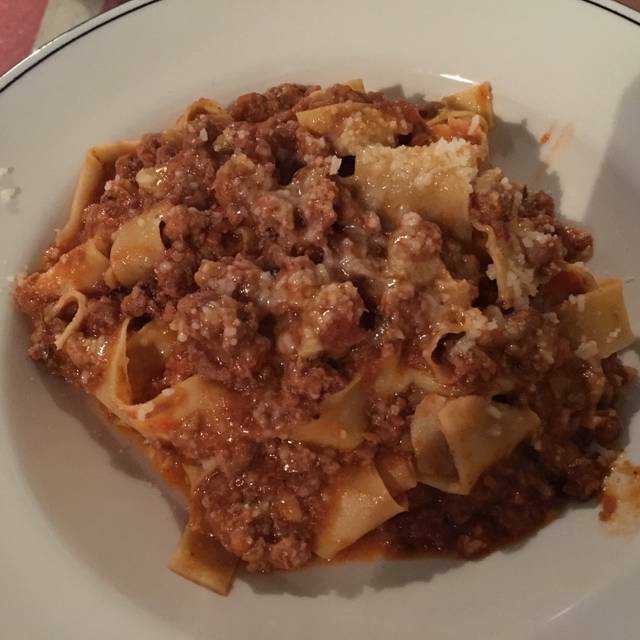 In particular, the cavolfiore and eggplant entrees were fantastic, and the tortelloni was outstanding (among the best pasta dishes we’d ever had). Unfortunately the sardines didn’t taste very fresh, and the risotto while tasting ok had rubbery scallops. The service was a bit up and down: bordering on rude by the girl at the door when we arrived, but improved substantially with the charming young man who took care of us throughout the night. Overall an enjoyable dining experience, but could do with a few improvements which would make it wonderful. We had the $79 tasting menu, which is good value. The first course was a sardine course with a side of eggplant. The sardine didn’t taste fresh or particularly interesting and the eggplant was soggy. A plate of cured meats followed which we really enjoyed. The tomato and ricotta pasta looked great and would have been delicious if not over smoked and our main of pork was average and a little tough. We were disappointed and not likely to return.